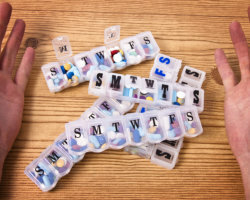 We want you to have hassle-free medications to ensure improvements in your health. We at Church Square Pharmacy understand how frustrating it is to be confused about what medicine to take since there are so many of them in your medicine drawer. With our special packaging services, we can organize your medicines by name, dosage, and time for your convenience. We have a variety of packaging systems specifically designed to enhance compliance and improve medication management. You can try our special packaging if you are looking for a more convenient and better organization of your medication. Call us today for further assistance.